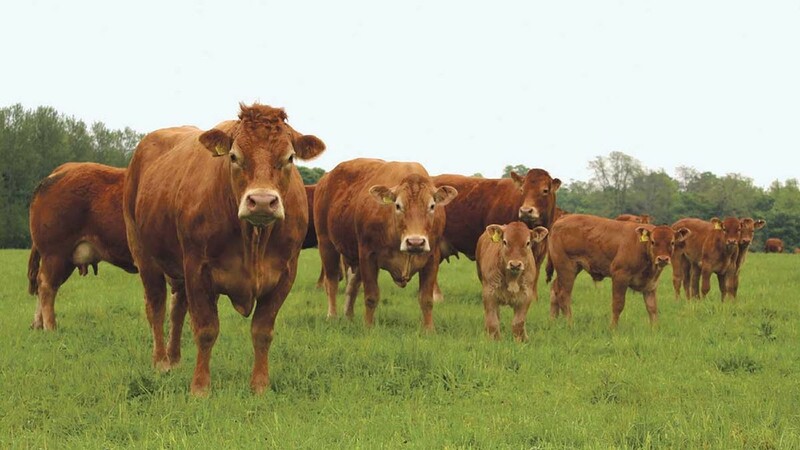 Johne’s disease is not a high-profile disease in the British beef herd, despite being common, costly and controllable. Veterinary surgeon Kaz Strycharczyk, of Black Sheep Farm Health, Rothbury, Northumberland, explains more. In the face of a more competitive marketplace, beef farmers should make in-roads now to prevent losses from Johne’s disease. Veterinary surgeon Kaz Strycharczyk says: “The bacterium responsible is Mycobacterium avium subsp. paratuberculosis [MAP] which is very resilient, surviving for up to a year on pasture. “It is generally transmitted in dung, through contaminated water, milk, teats or pasture. Occasionally, infection is passed to the calf during pregnancy. “Typically, affected animals are two to five years old and gradually waste away despite being bright and having a good appetite. They can also have a characteristic watery, bubbly scour and, in the end stages, bottle jaw. Johne’s hampers suckler productivity in several ways; up to 50 per cent of animals may be affected in problem herds. For a herd with 100 cows older than 24 months, assuming a 1 per cent positive rate, an approximate cost-benefit analysis of testing annually is seen in the table below. As farmers look to improve herd efficiency through healthier and more productive cattle post-Brexit, replacement heifers which are Johne’s accredited may command a premium at sale. Taking this into account the analysis becomes even more favourable. Information on the level of Johne’s in the UK herd is patchy. It often focuses on dairy cattle, although since many suckler farms source replacements from the dairy herd, this is worth consideration. Data from 2006 from the south west of England found 97.9 per cent of dairy farms and 78.9 per cent of beef farms tested positive. Likewise, data from Orkney in 2008-2009 tested more than 14,000 (mostly beef) cattle and found 64.5 per cent of herds tested positive for Johne’s, and 3.6 per cent of all cattle were positive; 8 per cent of beef herds had more 10 per cent positive for Johne’s. Therefore, the average beef herd has a high chance of already having Johne’s. There is no national control initiative for the British beef sector, unlike dairy, beyond voluntary CHeCS schemes, such as the Premium Cattle Health Scheme and HiHealth Herdcare. Herds are assigned a risk status based on the number of clear annual tests: R1 being lowest risk and R5 being highest risk. Relevant to beef farmers, the NJMP sets out six control strategies for dairy herds. One of these is ‘breed to a terminal sire’, i.e. cross all cows with a beef bull. It also states very clearly that ‘all calves produced in this system must be slaughtered for beef and not enter the suckler herd as breeding animals’. 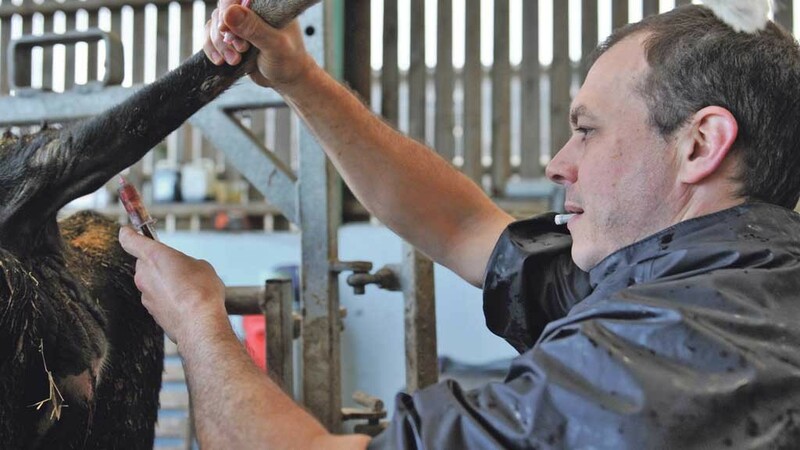 Not all farms may follow this advice, so beware buying potentially high-risk heifers as replacements, thus transferring Johne’s from the dairy to the beef herd. Australian research found beef herds that had contact with dairy herds were at a higher risk of Johne’s. Critically, most Johne’s positive cows appear to be infected as young calves. Despite this early infection, disease only becomes apparent much later, and they spread the disease much more effectively at this stage. Therefore, preventing the exposure of young calves to affected cows is key. Mr Strycharczyk says: “Sheep, goats, deer and rabbits can all carry Johne’s and transmit it to cattle. On mixed farms, consider monitoring Johne’s in sheep or goats. Calves should not be exposed to infected sheep or their dung if possible. Rabbit and deer control may help limit wildlife to cattle transmission. “If the herd test comes back negative, this is a great asset. Your herd is in the minority and you should continue with annual testing to achieve accreditation.